Well hello my lovelies! 2014 is right around the corner, which I am super excited about and this could only mean one thing – it’s time for 2013 favorites extravaganza! This post has been a long time coming and I’ve been planning it for absolute ages! Here is the (not so) short and sweet overview of my top favorite products, which I’ve been wearing non stop for this past year. 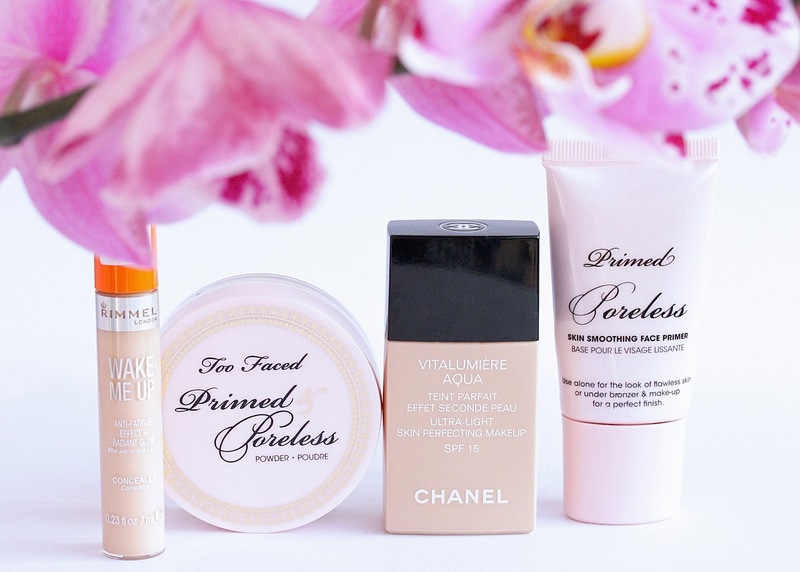 Be it primers, foundations, lipsticks or mascaras – I’ve got you covered! Every single one of these gems managed to steal my heart and has made me love makeup and beauty even more! 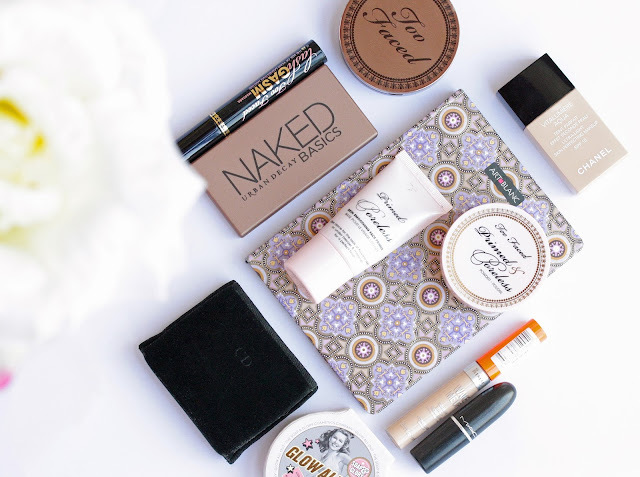 So grab a cup of tea and dive with me into my most-loved beauty bits! Starting off with the base, the first product I’ve been loving has been this Too Faced Face Primer (review here). This one, along with Benefit POREfessional are my trusty helpers when it comes to prolonging the wear time of my foundation and making my pores invisible. I love them both and they are pretty similar, but for some reason the Too Faced version is more appealing to me. It controls the oils, creates a lovely silky smooth base for my foundation and helps it stay on through the whole day. It feels really lightweight and it minimizes the appearance of fine lines and pores. Brilliant, brilliant product! Now this one was a hard one. I currently have three foundations which I adore and they are all so different so it was hard for me to pick just one. But I did it and the lucky winner is the infamous Chanel Vitalumiere Aqua foundation. I’ve been loving this for as long as I can remember and I’ve gone through multiple bottles of it. It is an amazing lightweight foundation, which just feels (and looks) like a second layer of perfect skin. It has about medium coverage and it adds such beautiful glow and dewiness to the face it’s incredible! 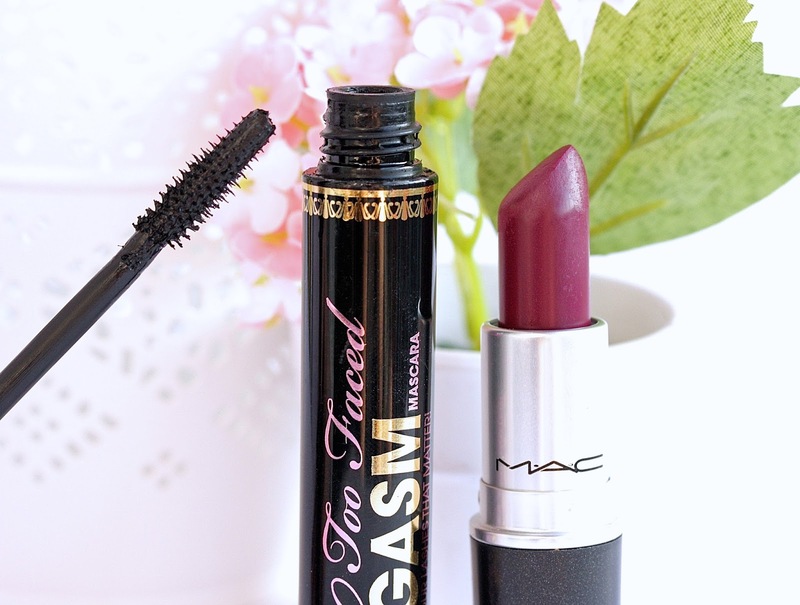 It wears for hours and hours and I just can’t imagine being left without it in my makeup bag, it’s that good. I don’t think I have ever talked about the Rimmel Wake Me Up concealer on my blog, which is super bizarre as it is actually my favorite everyday concealer and I swear by it! This is my fourth tube and I will keep repurchasing it forever haha. This little guy is my favorite two-in-one concealer. It covers my under eye circles like there is no tomorrow, it doesn’t crease and stays put for the whole day. Surprisingly, it does an amazing job at covering any blemishes / scares I might be having as well. Even though it’s supposed to be a ‘brightening’ concealer, it doesn’t accentuate or illuminate the imperfections, which is pretty cool. This gem is cheep and cheerful, gets the job done and I really recommend it. I think I’ve raved about this enough recently so I will just let you read my full review (here) but I just wanted to point out one more time that Glow All Out is the most amazing highlighter / illuminating powder I have ever stumble upon. It adds gorgeous light and dewiness to the face without making you look like a glitter ball and it is actually pretty natural on. It’s love, that’s for sure. Ladies and Gentlemen prepare for the best mascara my lashes have seen! Volume, length, massive separation and beautiful curl – yes LASHgasm does it all in one coat! Words cannot express how much I adore this mascara but you can see how my lashes look when I’m using it here. I can’t fault this baby and the fact that it never clumps or smudges is just mind blowing! Have you tried any of these products before? Which are some of your top favorite beauty bits for 2013? Need to try the Too Faced chocolate soleil bronzer soon, I'm a huge bronzer fan! Great products you have in your list. I love my UD's basic palette and use a ton of it this year. Have heard so much about the Rimmel concealer and have yet to try. Rebel is on the top of my wishlist !! I got Rebel for Christmas and i'm already in love with it. My favourite product of 2013 would be Wake Me Up foundation, i can't fault it. 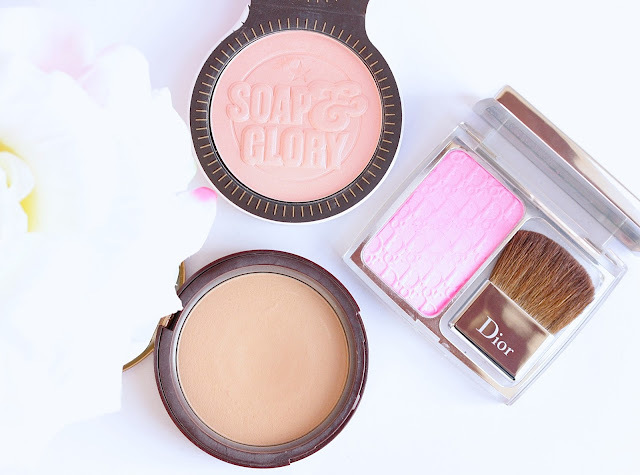 The Rosy Glow blush is beautiful! The Clarins Blue Orchid oil has to be one of my favourites this year. Lovely selection of products! 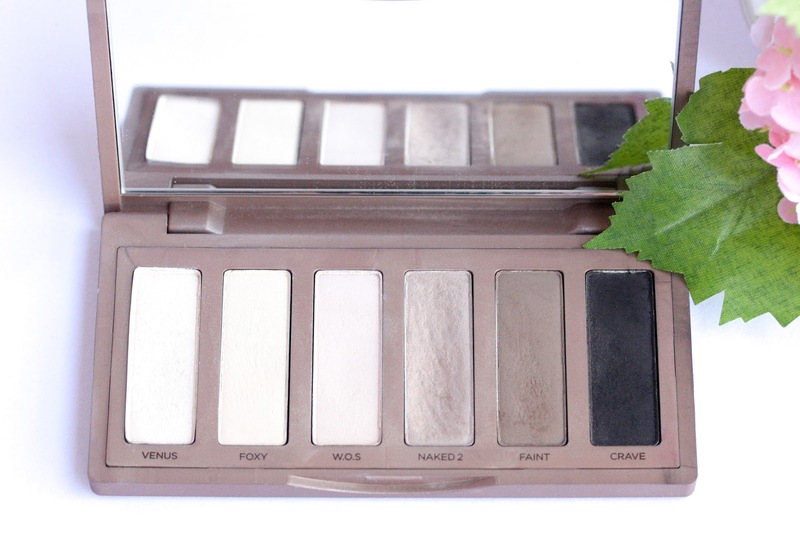 I've been enjoying the Naked Basics palette recently as I finally got my hands on it. It looks like yours is very well loved! All of them sound like great products! I want to try the Rimmel Wake me up concealer. I'd loe to try all the products you have listed (that I don't already have), the Chanel foundation especially. 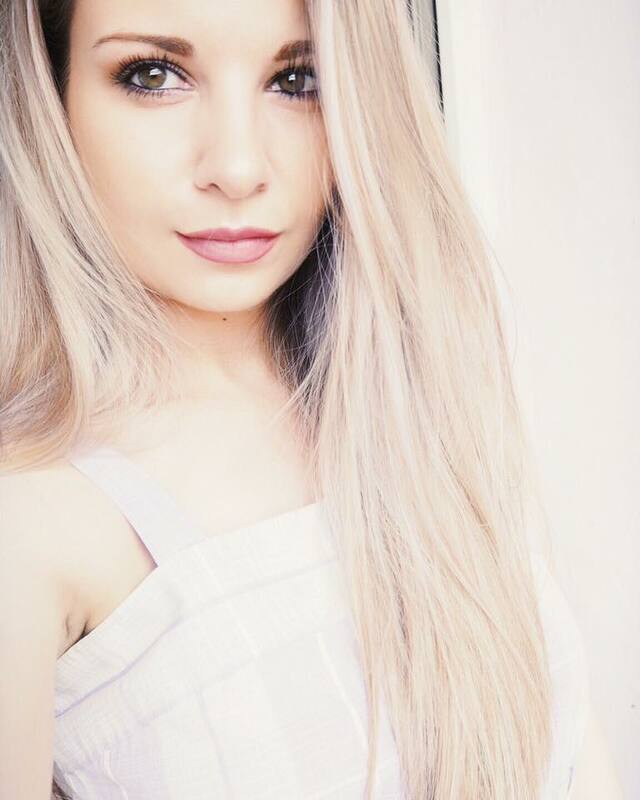 I've also fallen in love with the Naked Basics palette and MAC Rebel--both wonderful products! The Chanel Vitalumiere Aqua is such a wonderful foundation! I love the wake me up concealer, it has quickly become one of my favourites. I love the Urban Basics Palette!